Who would have thought that a simple way to use up leftover little marble chips would be oh, so effective? Terrazzo flooring for the home is at the top of the hot home décor list! Terrazzo, in the form we know it today, first appeared during the 1800s in Venice, Italy. Known originally as Venetian pavements – pavimento alla Veneziana – it consists of small scraps of marble, glass, quartz and other materials sealed within a cement-like mortar. This mix once in place is then polished to give a deep lustrous sheen. 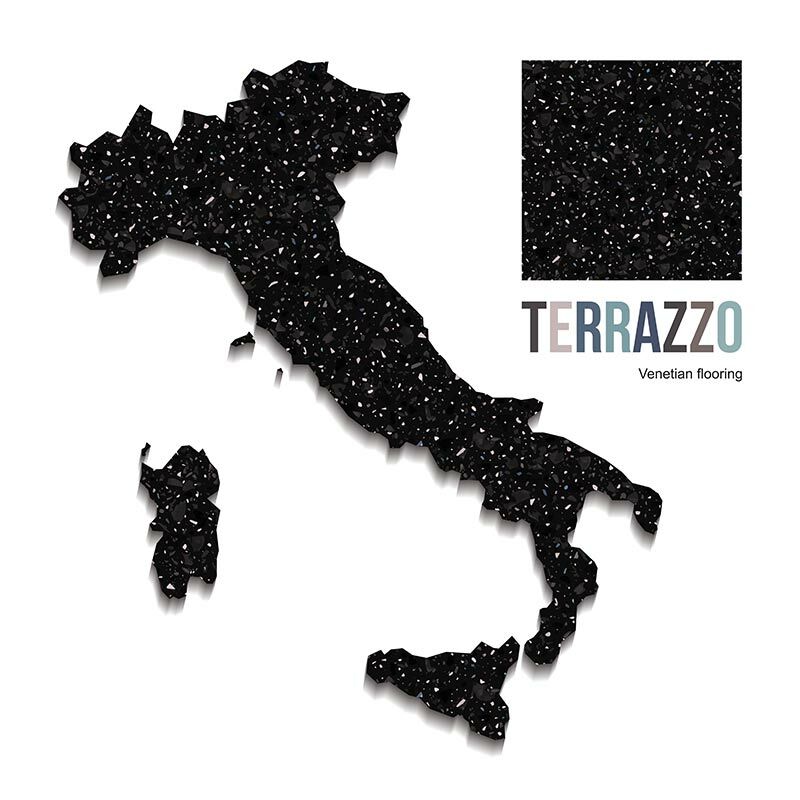 The name ‘Terrazzo’ derives from the Latin ‘Terra’ meaning earth. I guess it got the name because it was mainly seen on the floors but I also like to think its because there’s something of the beauty of the cosmos in all the small elements that go to make up such a wonderful whole. Like most bold décor styles, Terrazzo has weaved in and out of fashion throughout time. From being left out in the 1960s and 1970s, contemporary interior design thankfully sees it now through fresh new eyes. Its now enjoying a well deserved popular resurgence and for people who love the look, but not the cost, time or skilled resources needed to get it into their homes, we may have just the terrazzo flooring and tile solution. 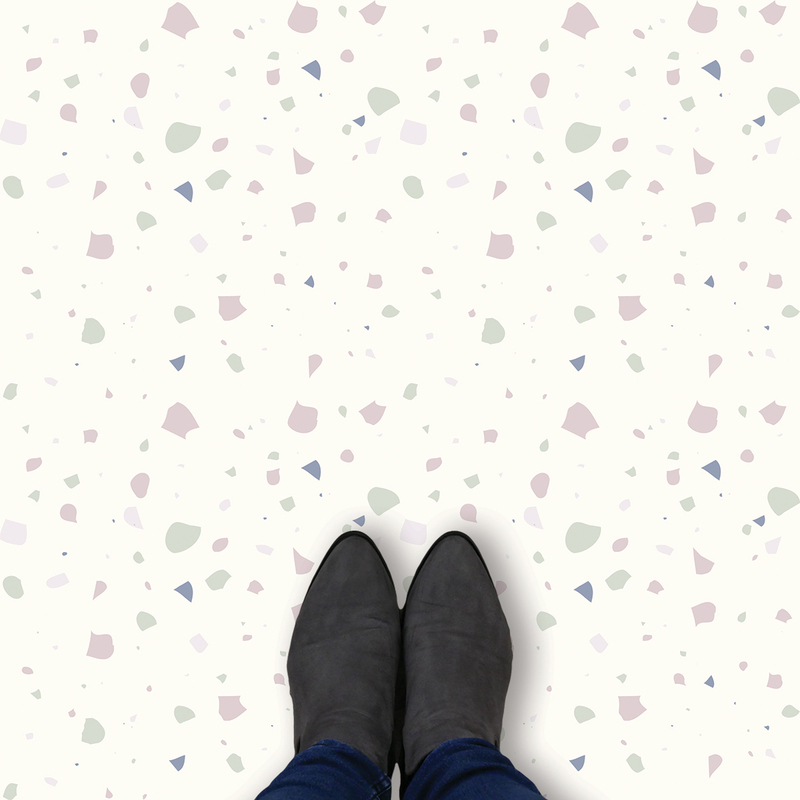 From the glossy magazines to Pinterest, Terrazzo flooring is up there as one of the hot styles to watch this year and certainly for a bit beyond. 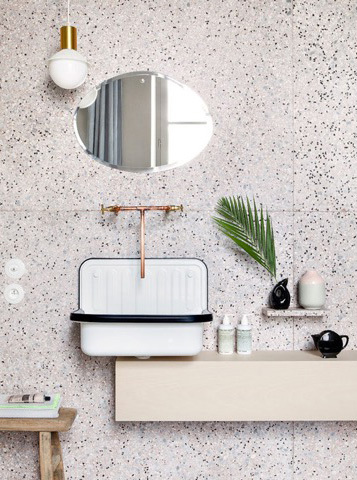 When Terrazzo is being named as one of the top tips by some of the home décor blogs, you know it needs to be on your radar. It started off as a way to use up the small bits of marble that were left from bigger projects. 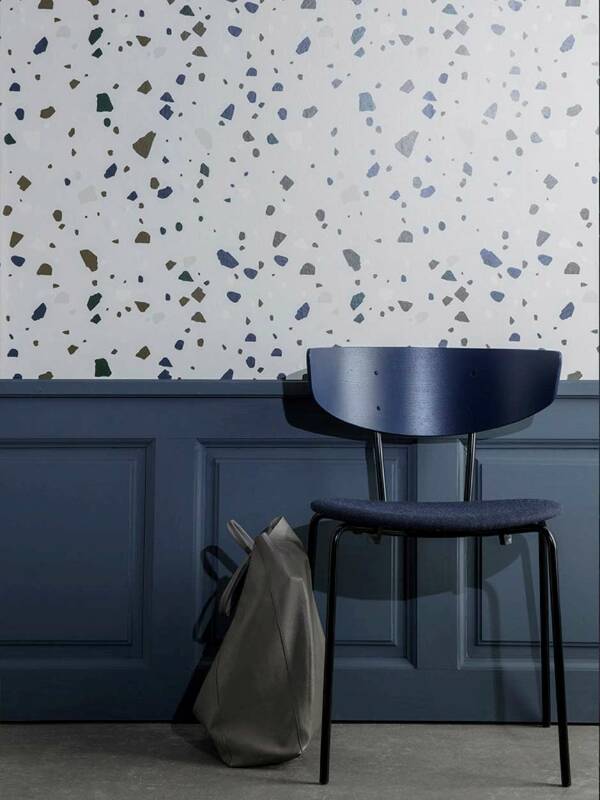 These terrazzo chips were scattered within mortar to create patterns of colour and texture. What beauty derives from little happy accidents! True Italian Terrazzo style flooring looks stunning – all those sparkly pieces sealed in and super polished for an incredible shine. Sounds simple enough and well-planned, wonderful looking Terrazzo will create a unique quality all of its own. Terrazzo in the home is used where the designer is looking for a sophisticated, waterproof and hard wearing choice. 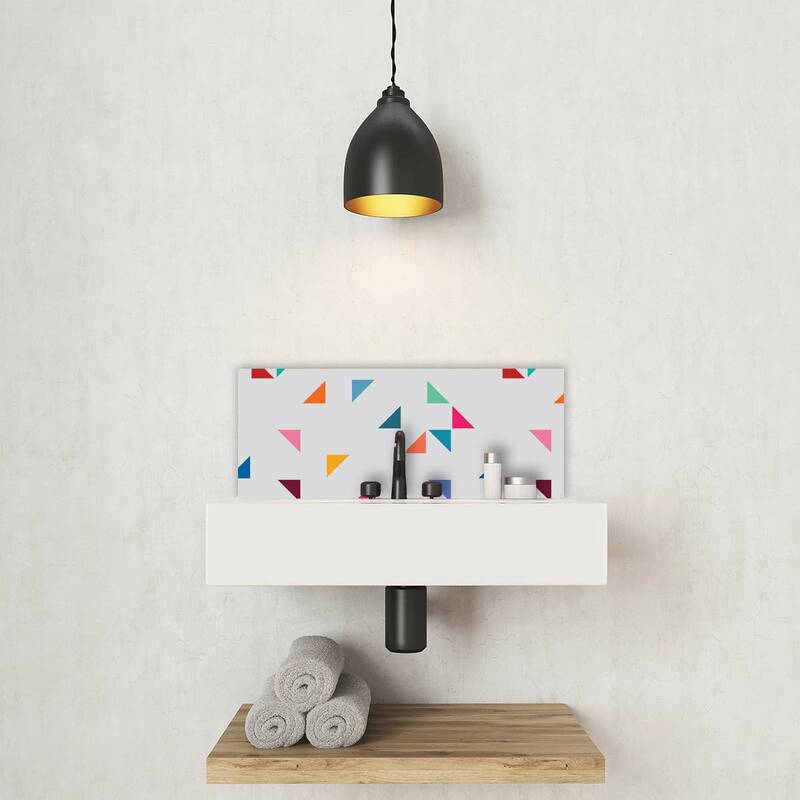 Kitchen or bathrooms, hallways and entrances – these are the places that will get the most wow per square metre. When not on the floor, Terrazzo tiling looks just molto bene in the kitchen, bathroom or utility. 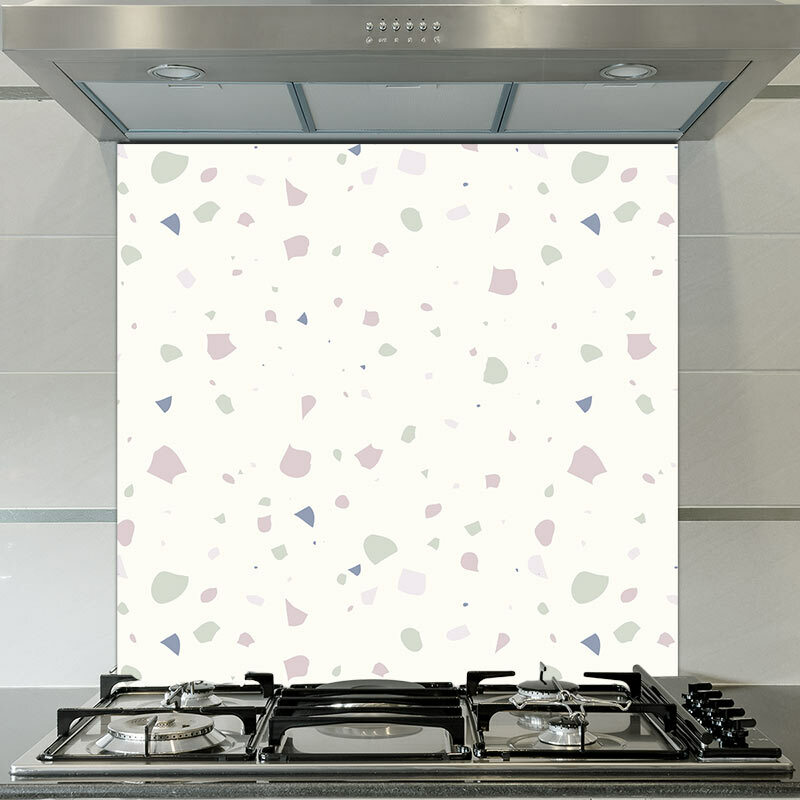 Terrazzo splashbacks will last forever behind ovens or sinks. 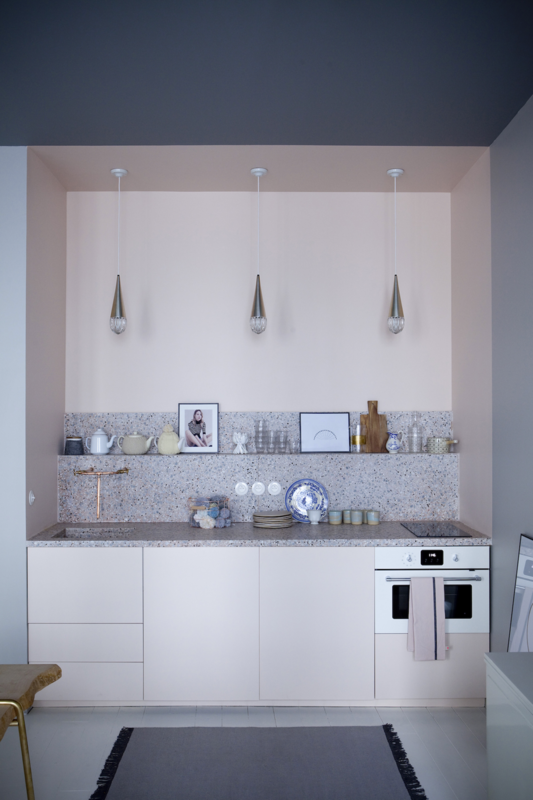 Kitchen worktops are another perfect example of the Terrazzo style. Unlike the similar style of mosaic patterned tiles, Terrazzo flooring is much more random. Although for maximum effect, there needs to be thought into how the pieces sit next to each other within the pattern, there is none of the rigidly defined structure that goes into the making of mosaic tiles. If you’re hankering for all this Italian style but don’t need the ultimate longevity (and cost), what options are there? There is a wide range of Terrazzo style wallpapers that will add some Mediterranean flair to the walls. It doesn’t get much easier to add the effect to the home than by using wallcoverings. 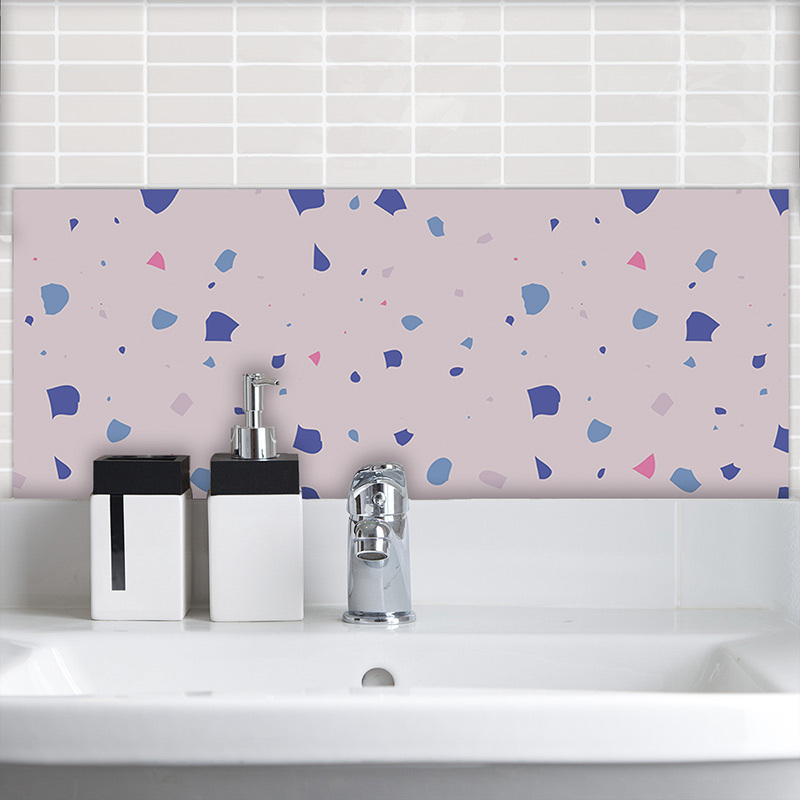 For Terrazzo tile styles, we have designs within our Feature Tile and glass splashback ranges. Pick one of our styles or even mix in your own colour-ways and ideas. Now, picture yourself at home, sat with friends enjoying a relaxed time and flowing conversation. There’s an open bottle of cold Prosecco, al fresco dining on the terrace outside. The bi-folding doors are wide open, the low evening sun spilling across the room and lighting up the Terrazzo floor. A Terrazzo floor that was simple to fit and unique to your home. 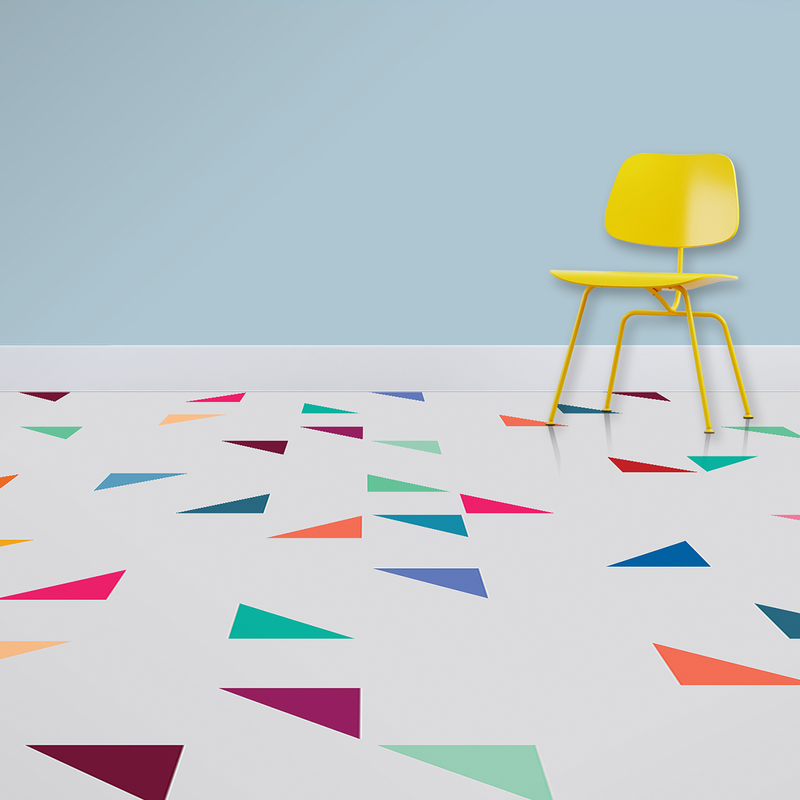 An individually produced Terrazzo vinyl flooring where you picked the pattern colours to match your carefully chosen décor. 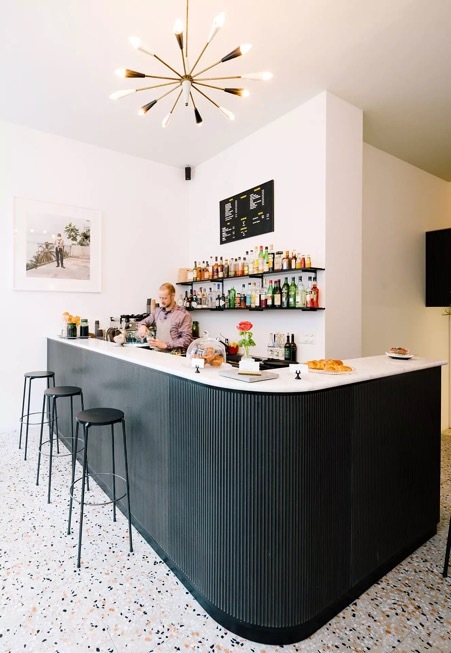 If you can afford it and your heart has been set on it, go for a true Italian Terrazzo floor. I think for the attention-grabbing looks alone, it will make a real statement in your home. However, modern terrazzo floors don’t have to be all about the stone and the marble. 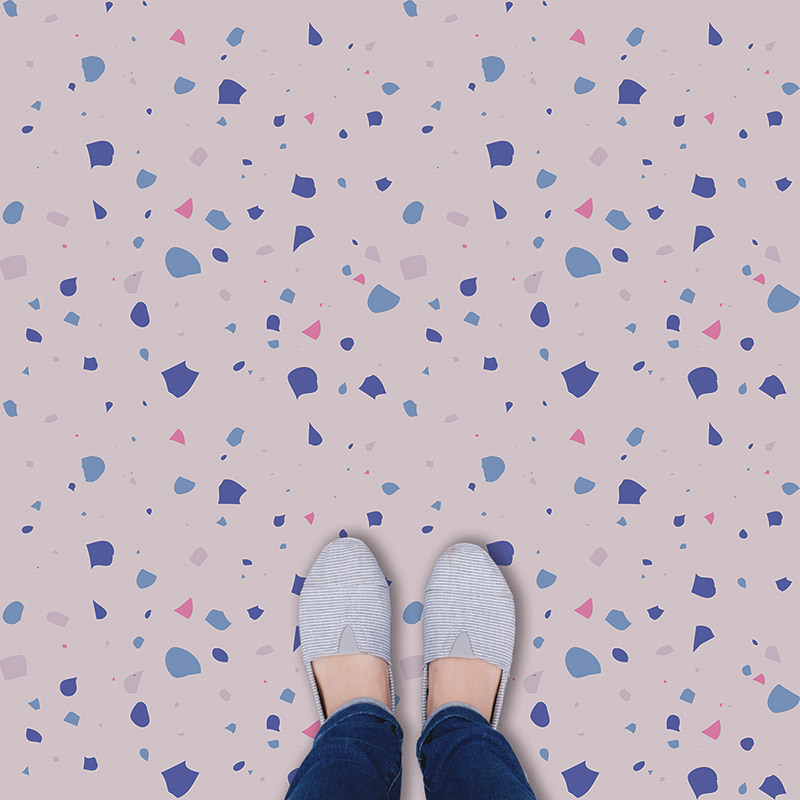 We’ve created a range of Terrazzo vinyl flooring for the home that has fallen in love with the style but perhaps needs something with a touch more practicality. They want this practicality whilst still exuding all the unique Italian feel. 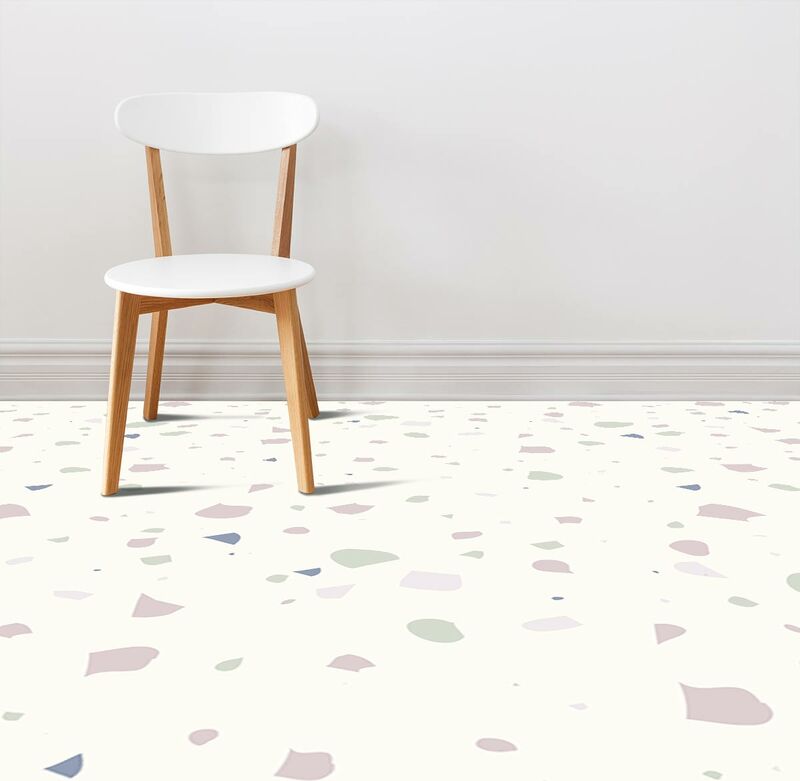 A Terrazzo vinyl floor of your choice costs just £39 per square metre and although you could never expect it to last the same as marble and quartz sealed in polished cement and mortar, it will bring un piccolo pezzo di bellezza into your space. 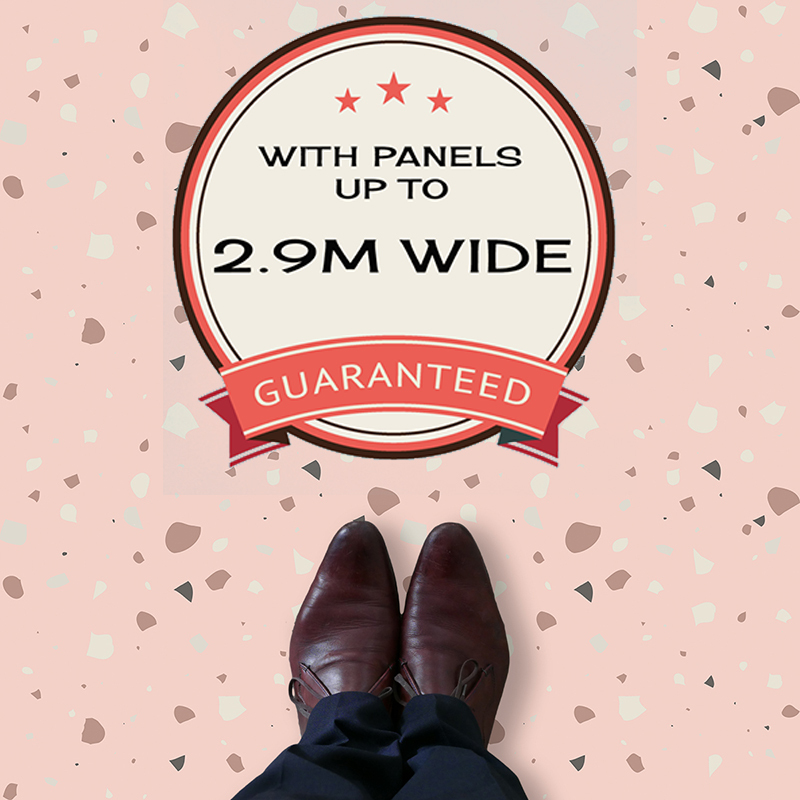 Supplied on a roll with panels up to 2.9m in width by whatever length needed, Terrazzo style linoleum flooring could never be simpler. Want larger looking terrazzo pattern pieces? No problem. Maybe a colour scheme that complements with existing décor? Talk to us and we’ll work with your ideas. All of our Terrazzo style patterns are available at up to 2.9m wide. Click the link for more information on why we only use wide width vinyl flooring. Exclusive Terrazzo vinyl flooring and glass tiles printed and produced with the same love and care of those Italian craftsmen by For the Floor & More. PS: For more inspiration for the home, try out our posts on modern vinyl flooring or ideas for kitchen splashbacks. From the cool sophistication of Terrazzo to the appeal of modern black and white vinyl flooring – click the link to see our new exclusive range of moody monochromes. PPS: We’ve got free flooring samples of all our range – there’s a request box under every pattern. Remember we can always change colours and tweak designs to match your style!